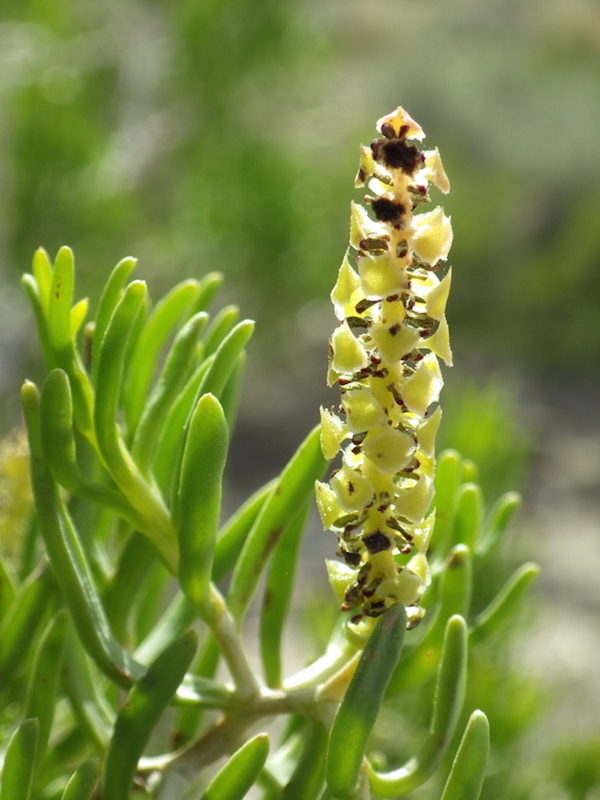 One of my favorite things to do is botanize in the west desert of Utah. 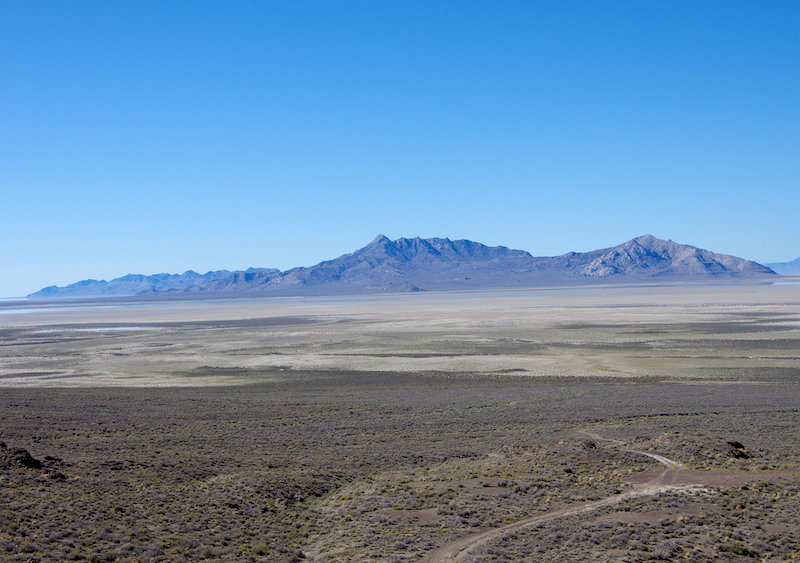 Besides the off limits army and air force bombing ranges, one of the least visited and more difficult places to reach in the west desert are the Newfoundland Mountains; a desert island mountain range surrounded on all sides by salt flats and playa. I headed out to the mountains after work to meet my dad, sister, and dads friend who had left earlier in the day to set up camp. Getting there isn’t the easiest. There are two ways to reach the Mountain, from the south driving on an access road through the air force bombing range and across the railroad grade, or from the north from the Hogup Mountains. When I arrived, the sun was already going down so I didn’t really have time to do any real botanizing, but I tried anyway. Without adequate light the only flower I noticed was the non-native Storksbill near my tent. 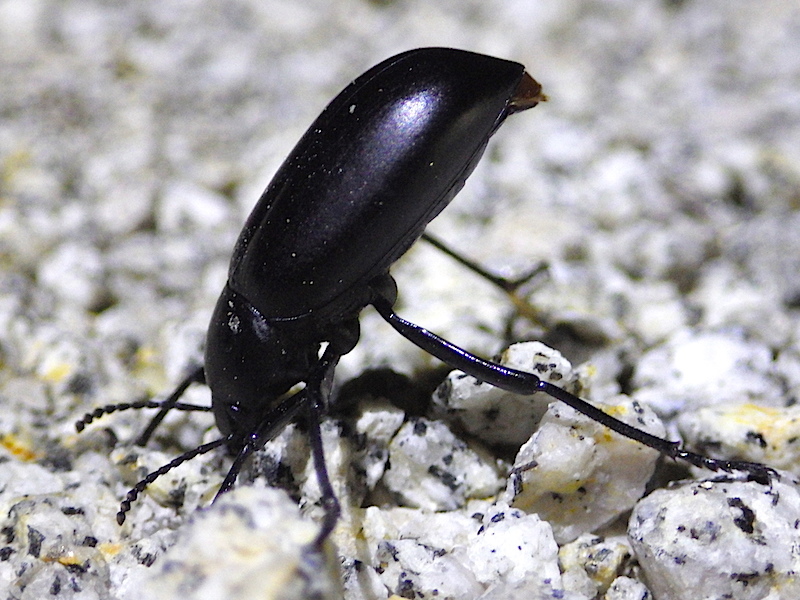 Other than interesting wind-carved granite rock formations, and a few common desert shrubs, the only other cool thing I found that night was this Stink Beetle that was expressing just how happy it was to be found. The next morning we decided to make our way to a canyon on the east side of the range that has a bunch of old mining equipment in it. 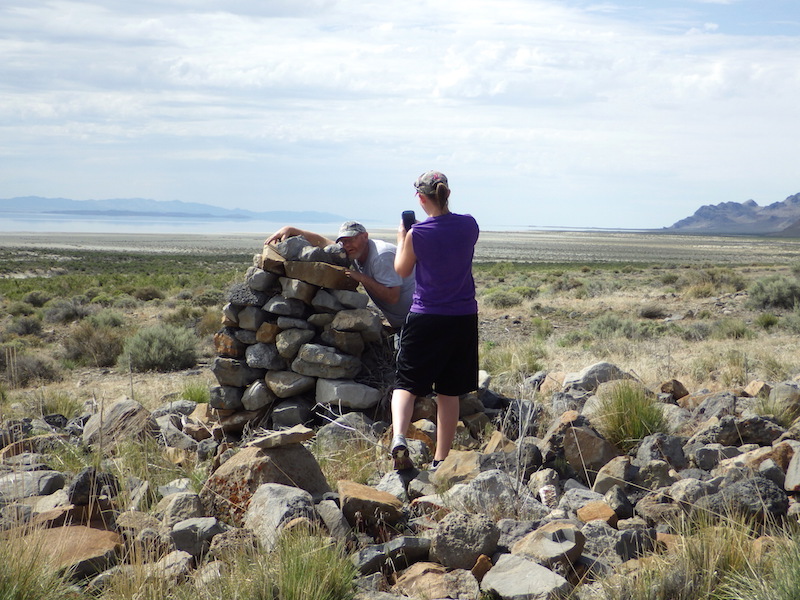 As we drove on the bumpy dirt road, we made a few stops along the way, the first at this stone monument. Dad and Sister admiring the stone monument. While everyone was admiring the monument, I went off to find whatever plants I could. 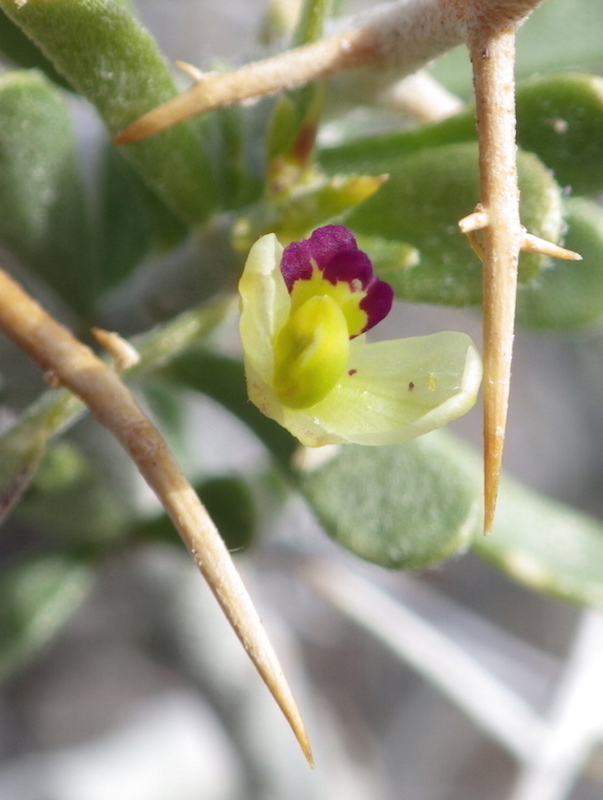 This was my first time ever seeing Thorn Milkwort, a spiny desert shrub that leaves a great deal of puncture wounds while trying to collect it for Pscience®. 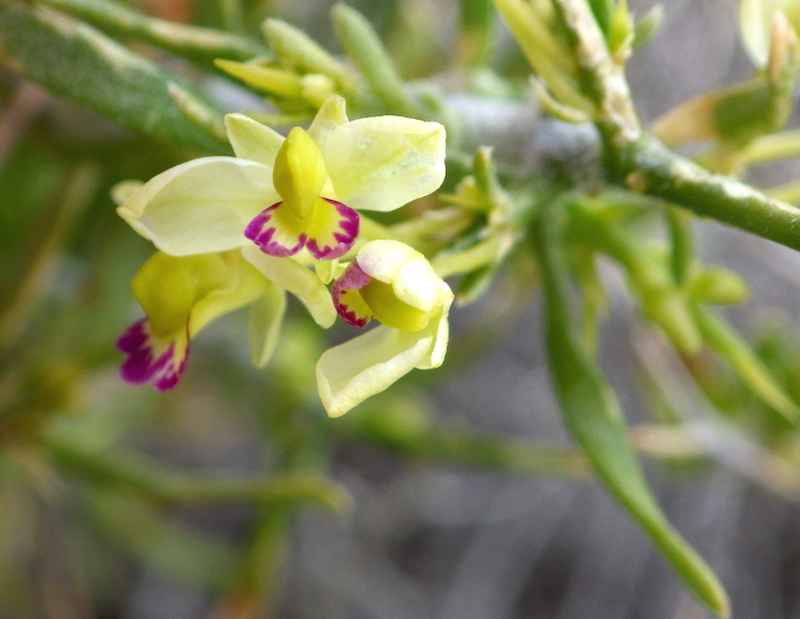 It has small greenish yellow and pink flowers that are very well protected by a stiff fortress of sharp, woody thorns. Although not new to me, this next plant deserves some attention. 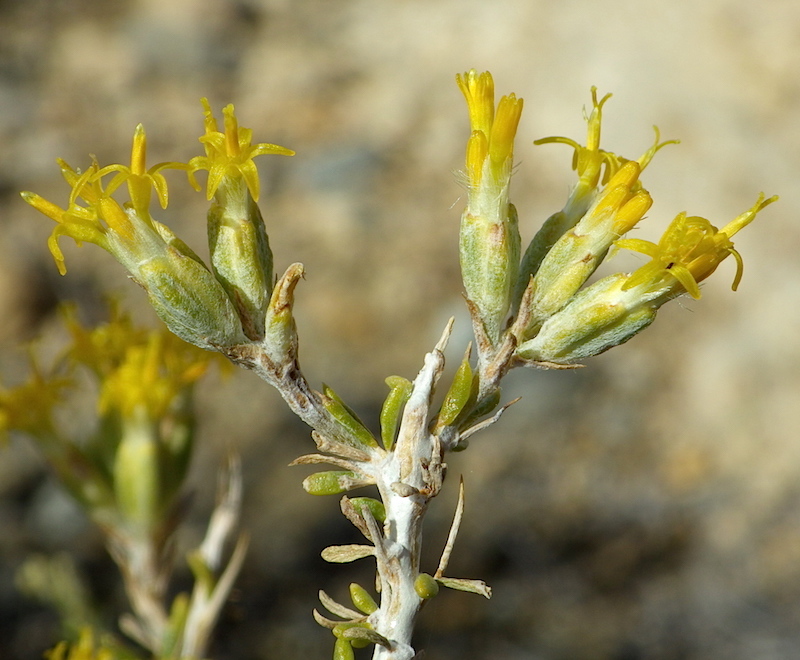 Nevada Mormon Tea is one tough gymnosperm. 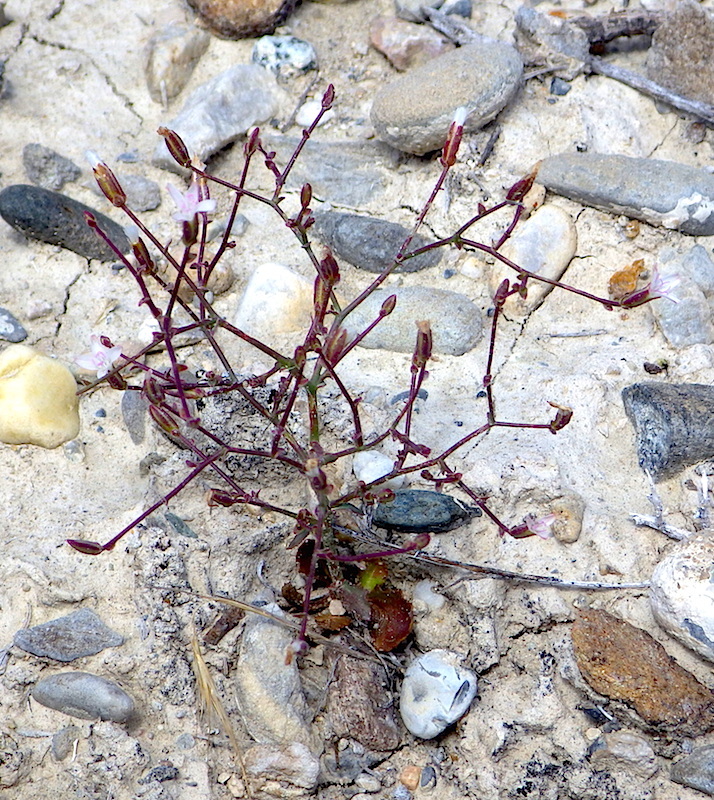 It grows out in the dryness and heat of the desert and also puts up being grazed to death by cattle and sheep. These are the male cones with the stamens exposed waiting for the wind to carry their pollen to an awaiting nearby female cone. Mormon pioneers once made what was called an “energizing tea” from the dried branches. I’ve tried it multiple times and didn’t ever feel really all that energized. About all I remember from each experience is drinking down bitter hot water that tasted like dried sticks. 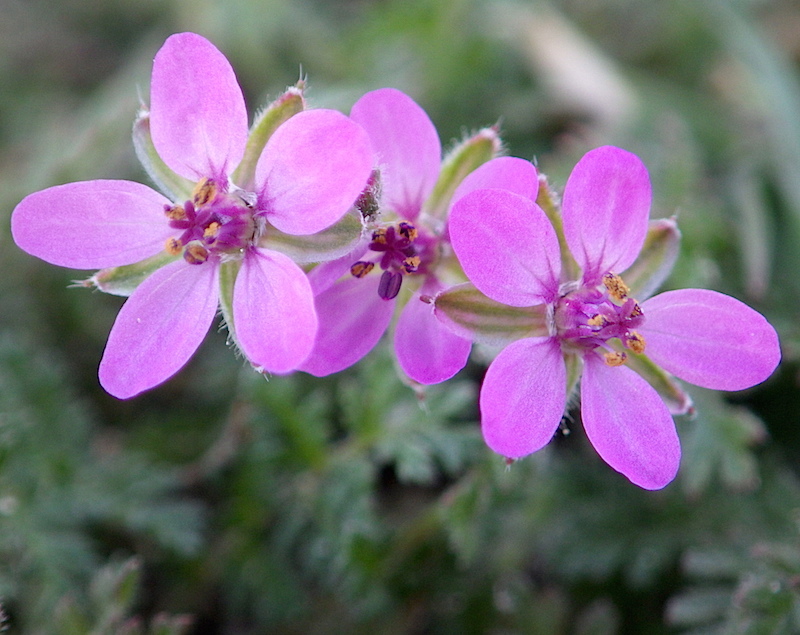 This next plant is a cool little annual called Brightwhite, closely related to Wirelettuce (Stephanomeria spp.). The flower heads are composed of only ray flowers and the stems contain latex like other plants in the same tribe. After taking some time at the stone monument we stopped at a perennial spring to see if we could see any animals or find some arrowheads. 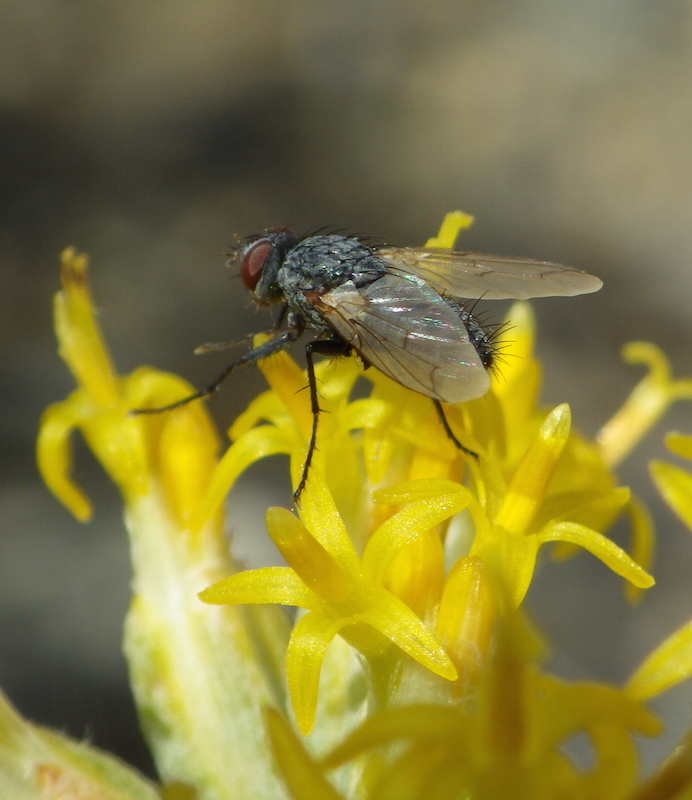 No luck with the arrowheads, but I did find a poop fly on a Littleleaf Horsebrush. 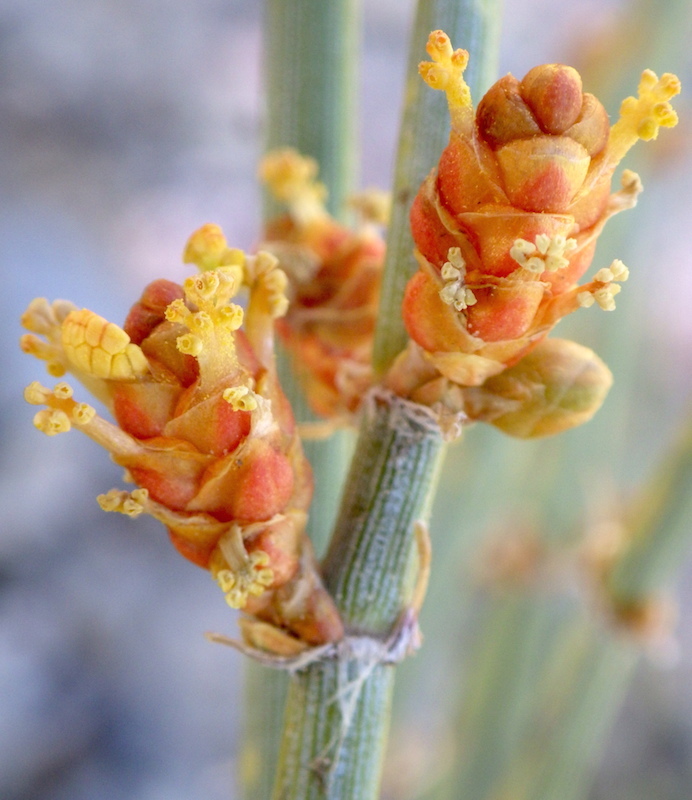 Utah has five species of Horsebrush and all but one are spinescent shrubs found only in the desert. 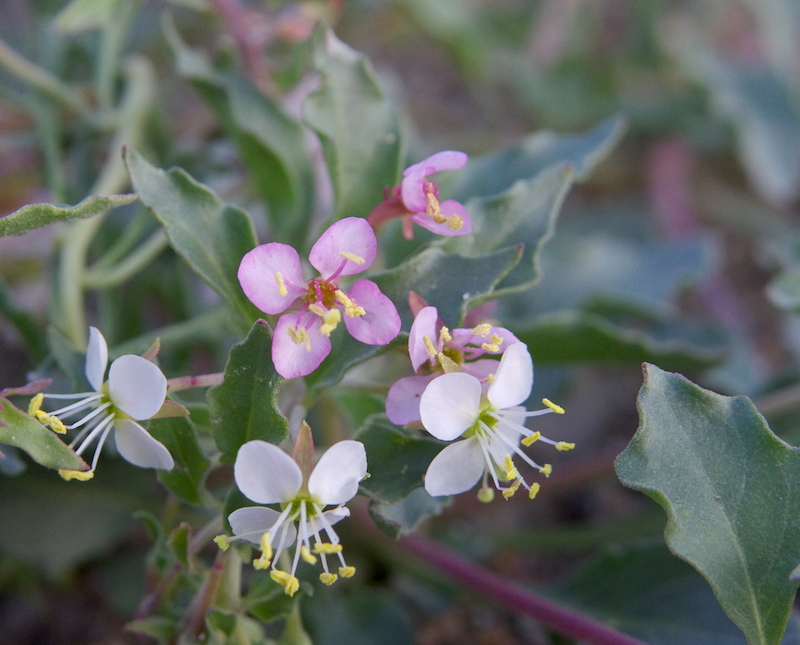 Next I encountered Greasewood, a halophytic shrub in the same family as Lambsquarters (Chenopodium album). Greasewood are usually found growing in areas with high water table, such as springs, lake margins and playas. As we drove closer to the mining equipment, the truck began to lose power and soon wouldn’t run at all. The Newfoundlands isn’t exactly the best place to have car problems; you’re lucky if you see another human being. 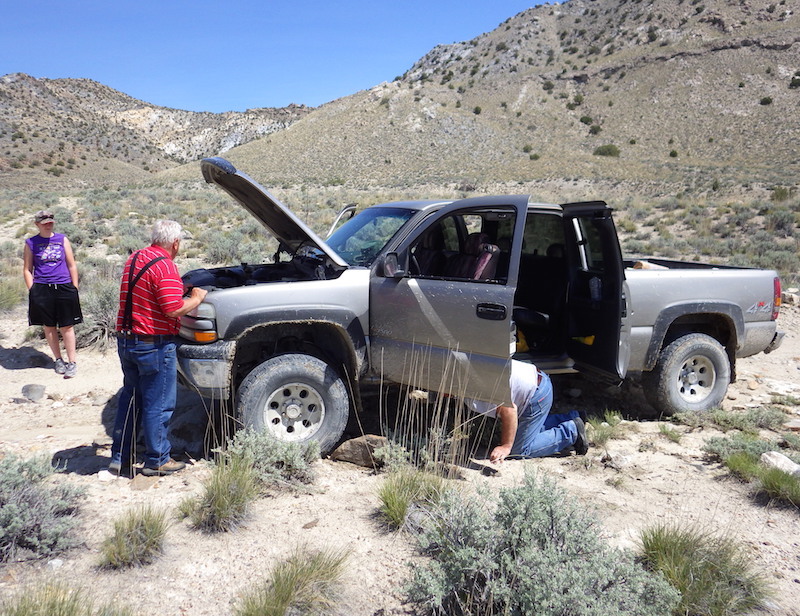 This trip, though, we just happened to be the luckiest people as we met two very nice men who were scouting for Desert Bighorn Sheep for their upcoming hunt. They drove me back to camp to pick up my Xterra so I could tow my dads truck back to the main gravel road. 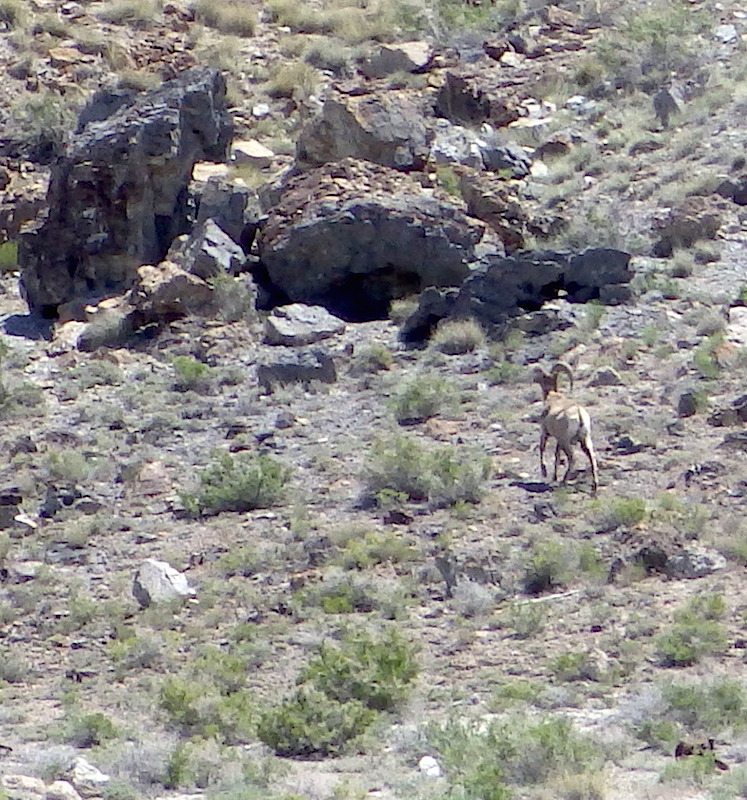 As I rounded the tip of the range to begin the tow, I got lucky again and saw a Desert Bighorn just off the road. 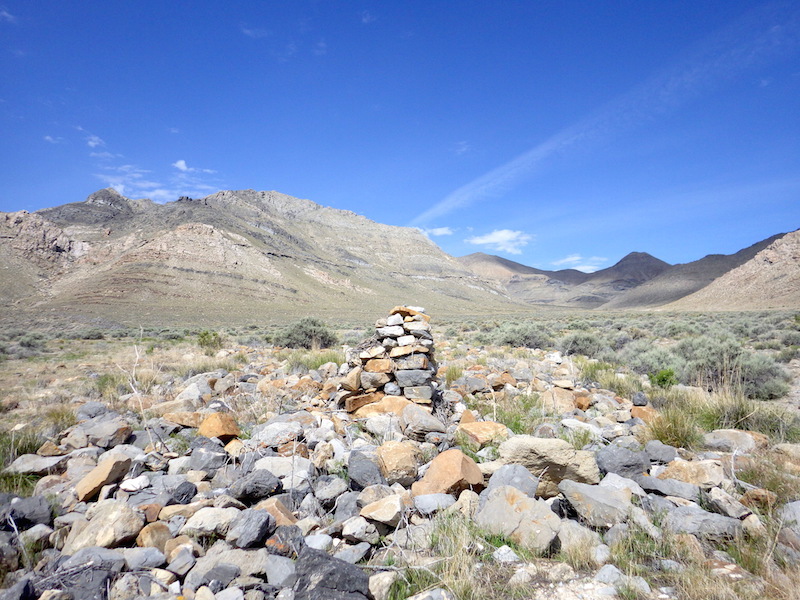 When we got to the main gravel road at the north end of the range we took a break from towing for a bit before starting the long trek back to civilization and as usual I went and turned over logs and board looking for whatever I could find. 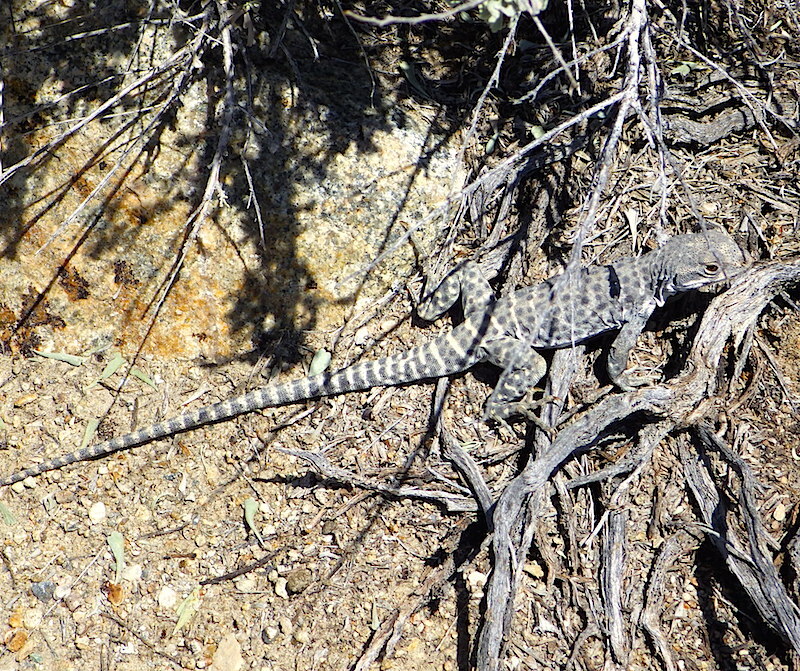 The first thing that caught my eye was a Long-nosed Leopard Lizard as it sped away. They are very fast runners and if you happen to catch one, they like to bite and hang on! This next little guy or girl was not nearly as fast, but I was also not as eager to try and catch it as I was the lizard. 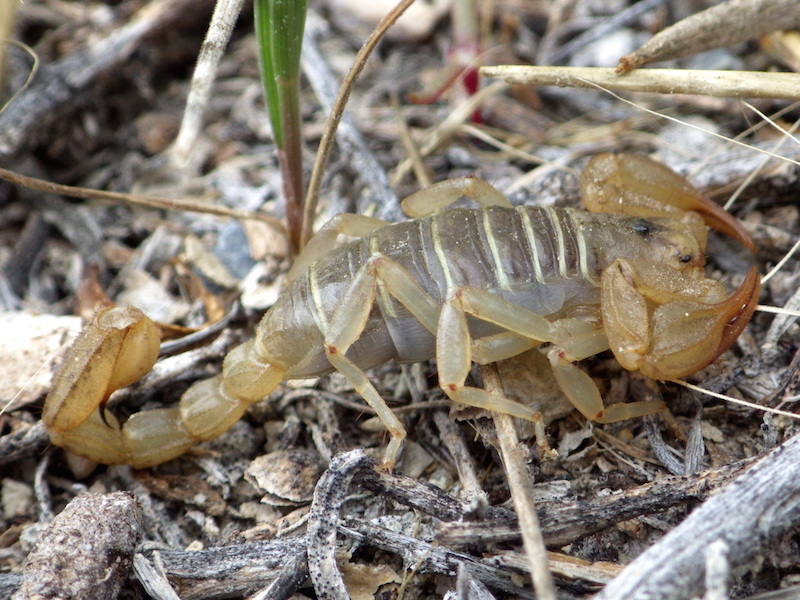 Northern Scorpions are the most common scorpion in Utah, found in every county. Finally, the last cool plant I found as I was being hollered at to tow the truck was Alyssum Evening Primrose. The flowers of this annual are a little larger than a dime, open white and age to a dark pink. 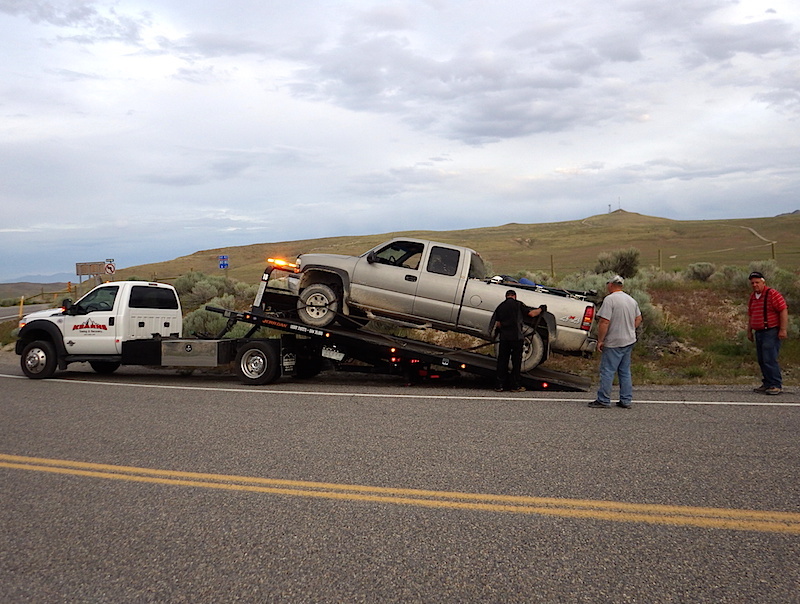 After a few hours of towing, this is how the trip ended. Grateful it wasn’t anything worse than a broken fuel pump, but it did cut our trip a day and a half short. Who knows what other cool plants could have been found.